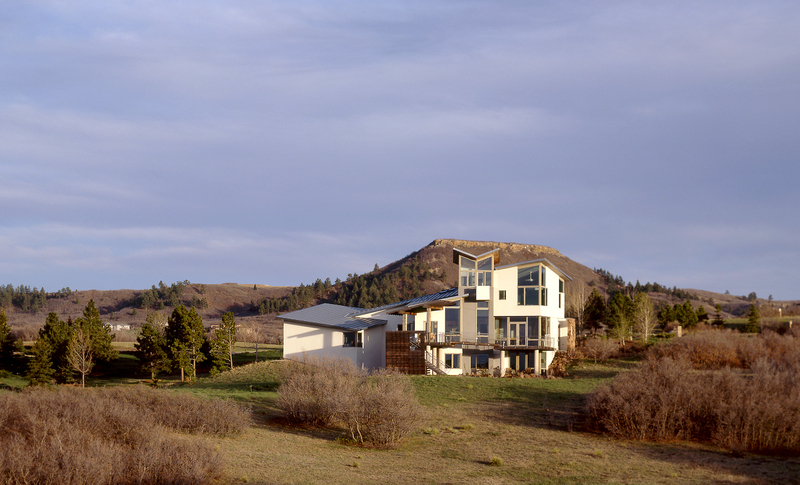 With a view of the Colorado Rockies Front Range, the residence at Bell Mountain Ranch is positioned to take advantage of the mountain views, wide open sky, and dramatic sunsets. 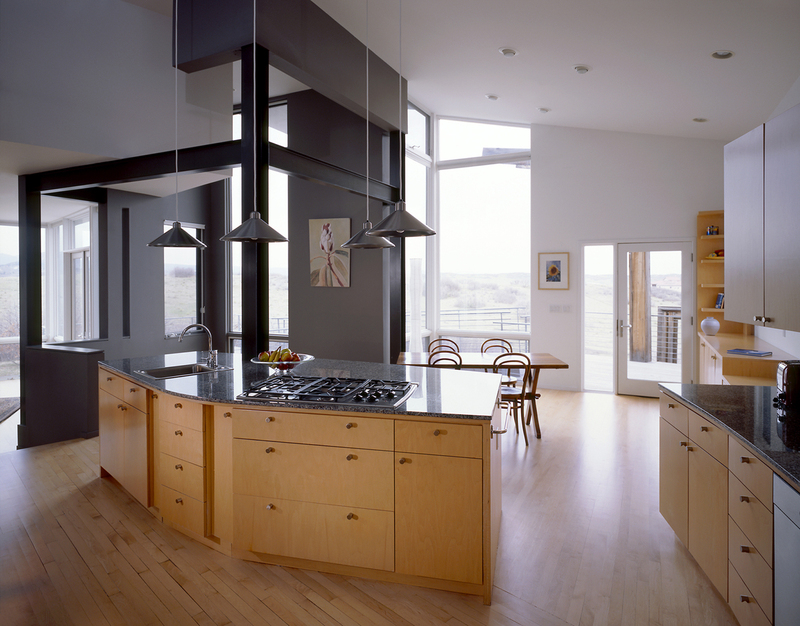 Placed carefully on the five acre site, the house blends with, and respects nature. 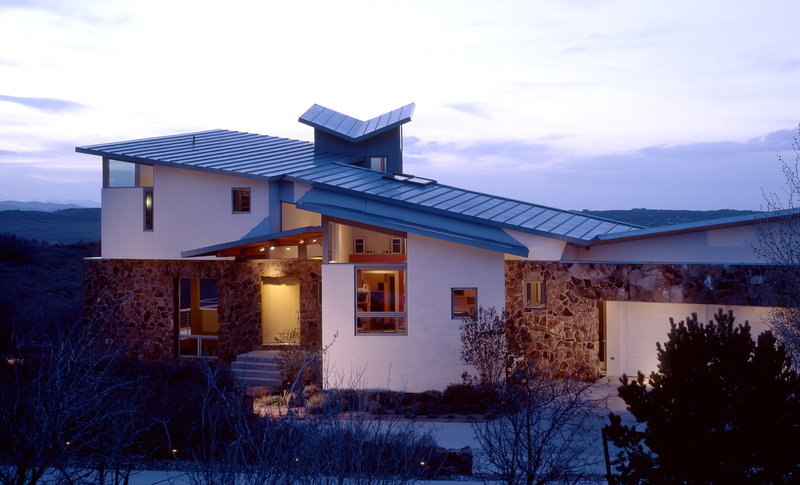 The exterior stone was gathered from the nearby escarpment, the deck’s wood weathered to a mellow gray reflecting the trunks of the pines on the slopes behind the house, and the galvanized steel roof reflects the ever-changing, majestic sky. 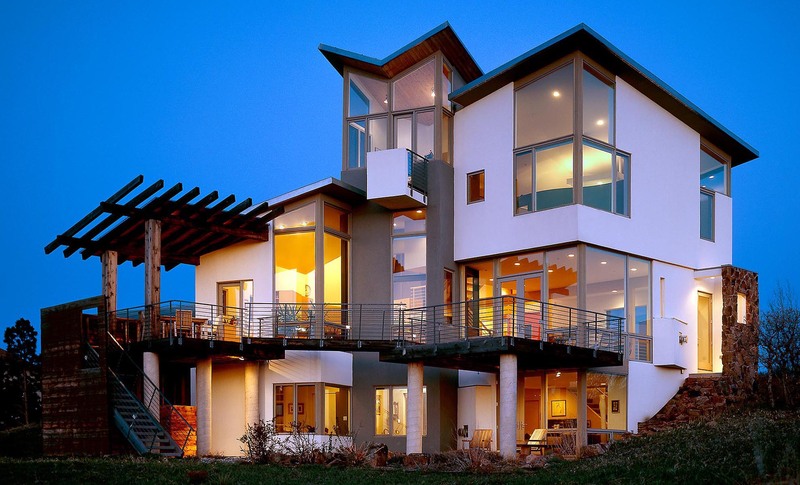 Natural ventilation, radiant heat, and recycled glass tiles are a few of the sustainable feature of this inviting home. 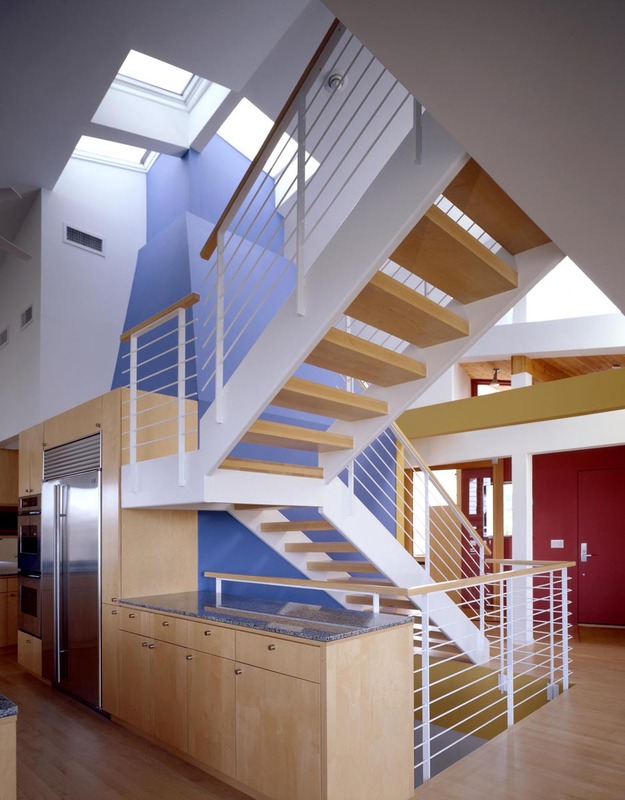 This unique 3,800sf custom house also fulfills the client’s lifestyle requirements as they run a small business from their home. 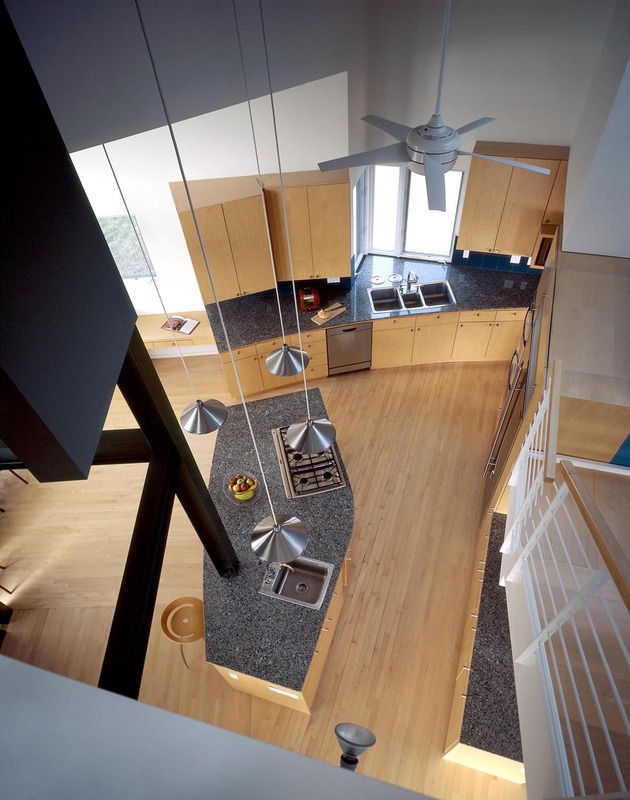 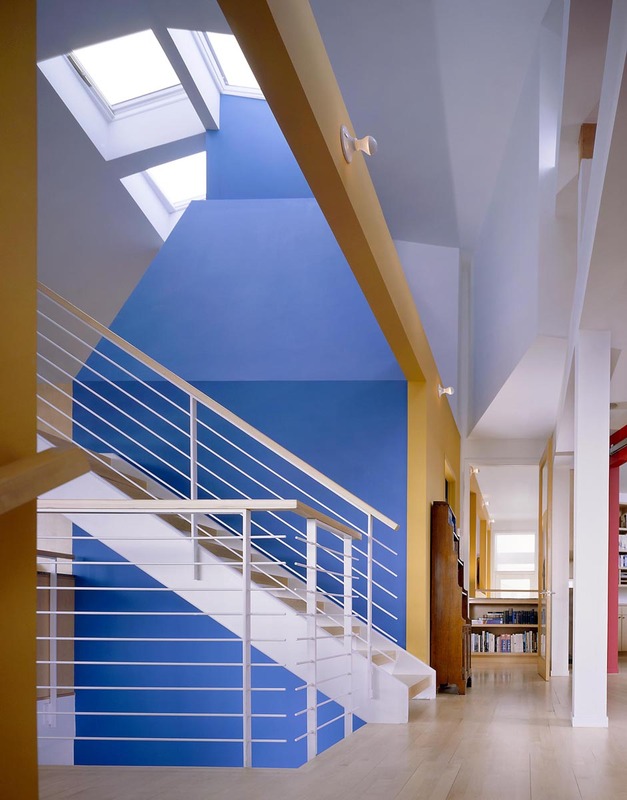 The openness of the home provides flowing spaces with multiple views throughout the house. 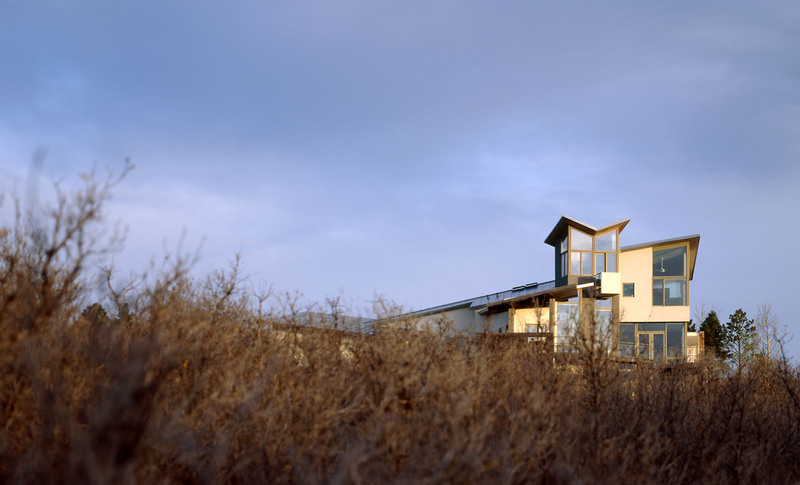 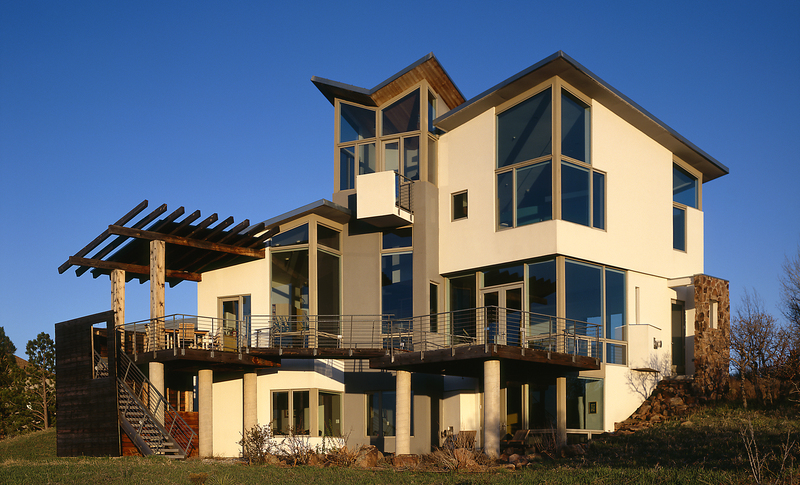 Responding to the local topography of ridgelines, valleys and mesas, the house was carefully positioned on the site to capture the expansive views of the Colorado Rockies as well as framing the more intimate views toward Bell Mountain and Castle Rock, all of which give the home a connection to nature while providing privacy from the immediate neighbors.